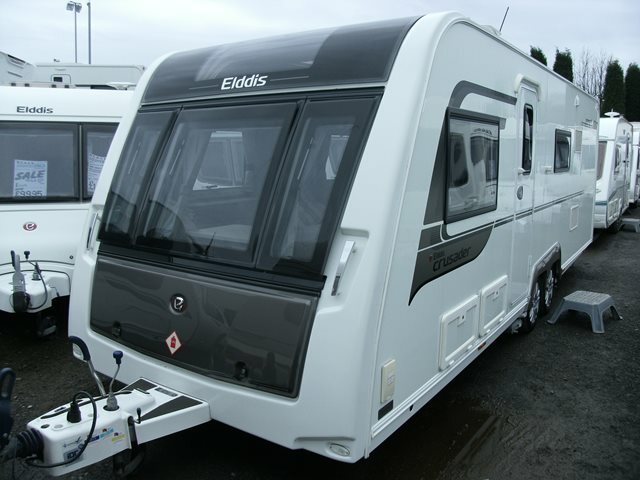 Our used Elddis Crusader Tempest EB is shown below, for more information please contact us. This six berth 'van from Elddis is a top of the range family caravan and features parallel bench seats to the front, 2 bunk beds, a large dinette which converts to a double bed, rear wash room and fully equipped central kitchen. The Crusader Tempest is a twin axle therefore gives you plenty of space inside, just what you need with a family of six. It is in excellent condition and includes Alde central heating, alarm, iDC stability control, sweeping front sun roof, large fridge/freezer and microwave. Come on down to our Cradley Heath site and check it out. For more information please contact us on 01384 413336 and ask for a member of the sales team.